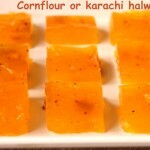 Kasi halwa is a very traditional sweet dish made with white pumpkin. 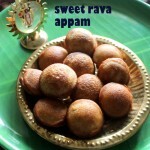 It is usually served in south indian weddings or festive occasions as a special sweet dish. 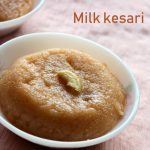 This dessert is very easy to make too. 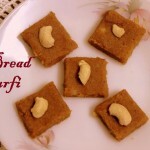 It can be done quickly, except for the preparation work like peeling, removing the seeds and grating the pumpkin. 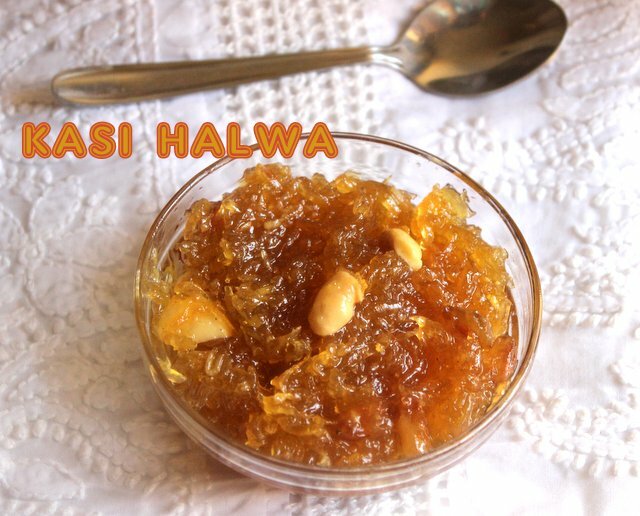 Kasi halwa can be stored in the refrigerator for upto one week. 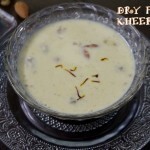 Now for the recipe..
Soak the saffron strands in a tablespoon of hot water and keep it aside for 10 minutes. Peel the skin of the white pumpkin and grate them. Discard the seeds. 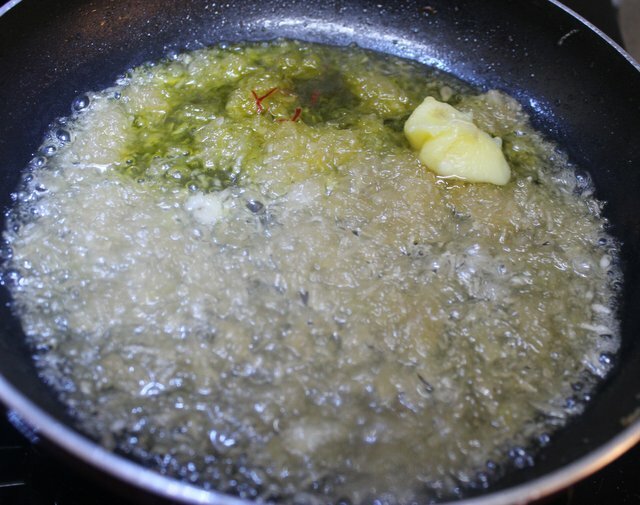 Heat 1 tablespoon of ghee in a pan or kadai. 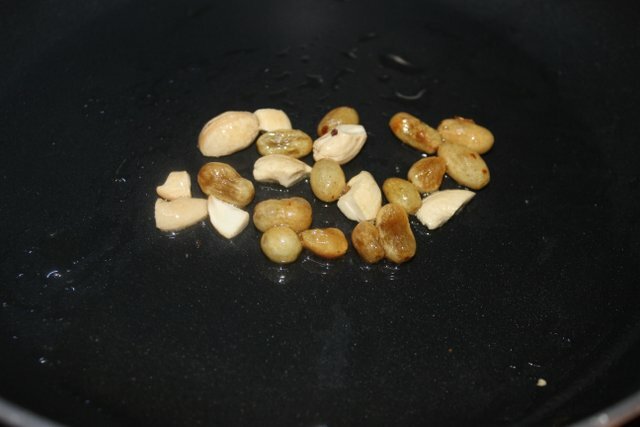 Add cashewnuts and fry till golden in colour. 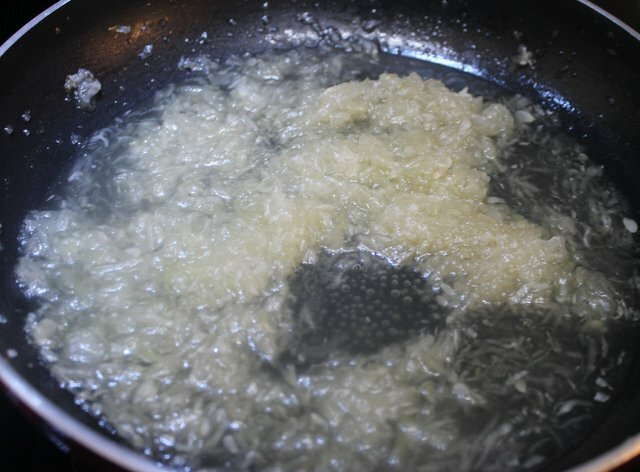 Then add raisins and fry till they puff up. Keep it aside. 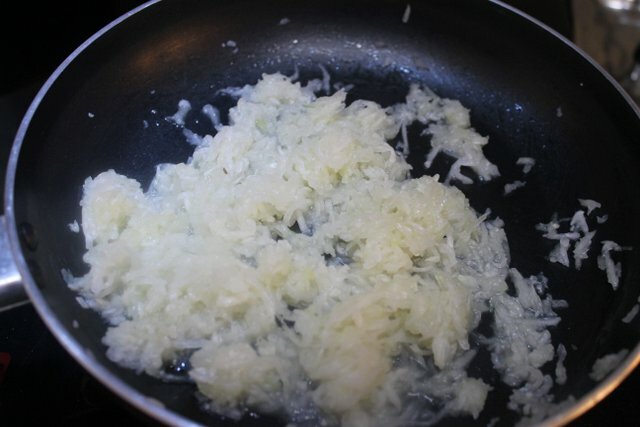 To the same pan add the grated pumpkin and saute on low flame. 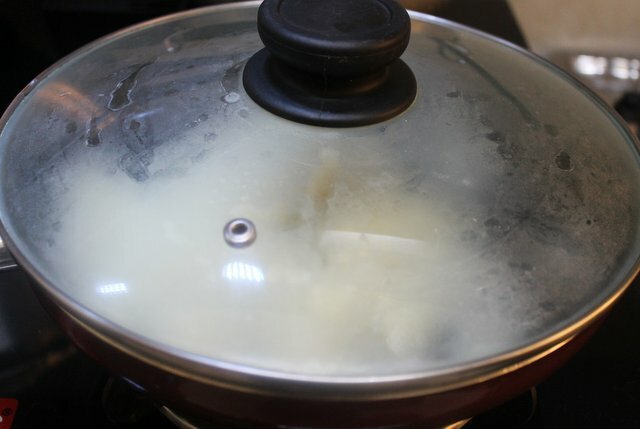 Close the pan with its lid and cook till the pumpkin is tender and the excess water is absorbed by the vegetable. 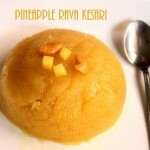 Once the pumpkin is well cooked, add the sugar and mix well. 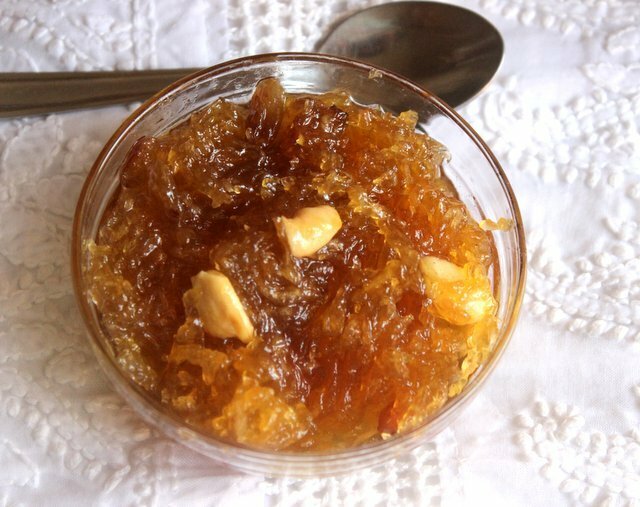 The sugar will start melting. 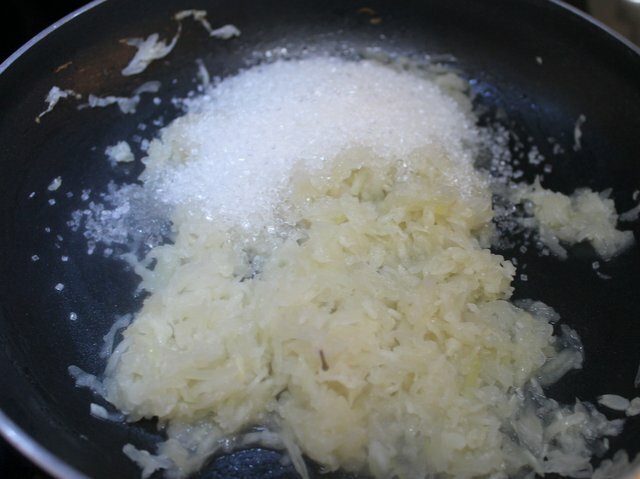 Cook on a low flame till the sugar starts thickening. Keep stirring continuously. 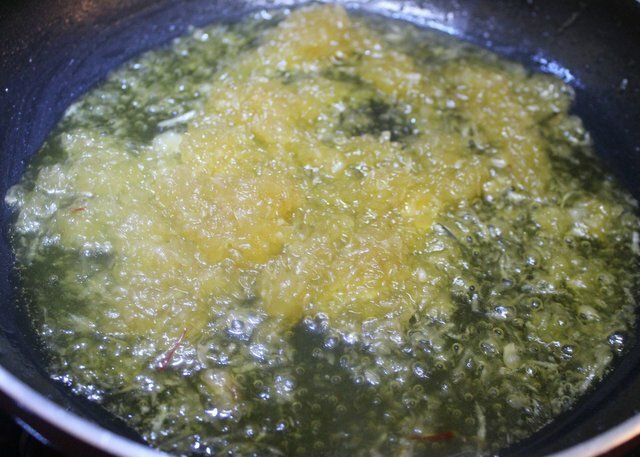 Then add the soaked saffron strands and 2 tablespoons of ghee. Mix well. The mixture will become slightly watery. 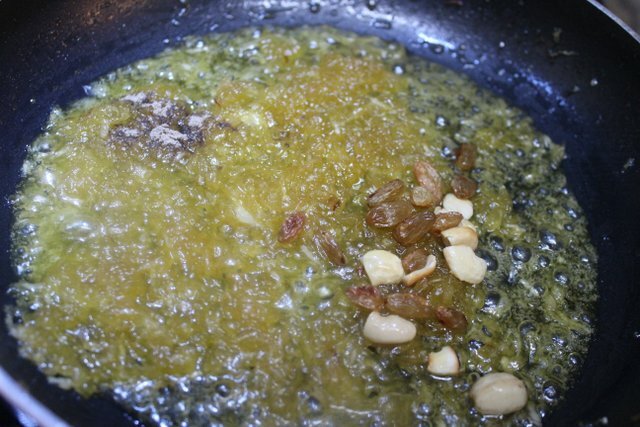 Cook on a low flame until the halwa thickens and starts to leave the sides of the pan. 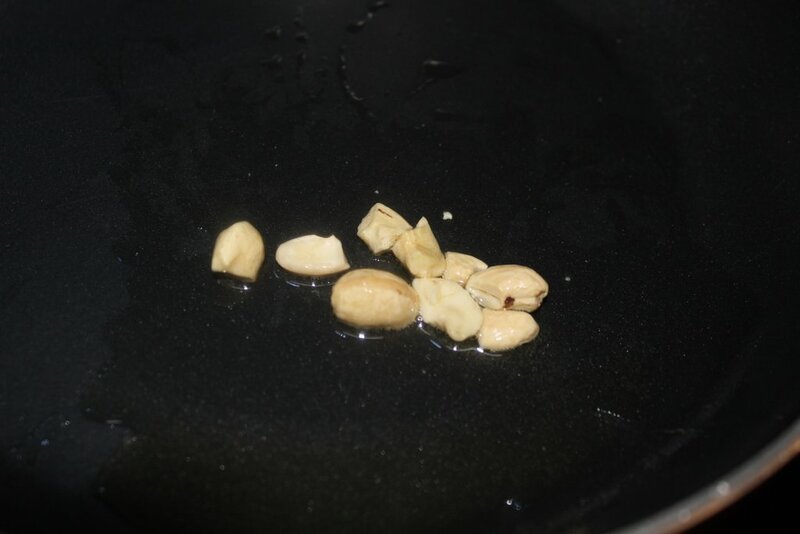 Then add cardamom powder and the fried cashewnuts and raisins. Mix well. Switch off the flame. 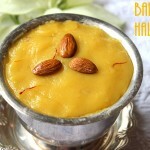 Delicious kasi or white pumpkin halwa is ready to be served. 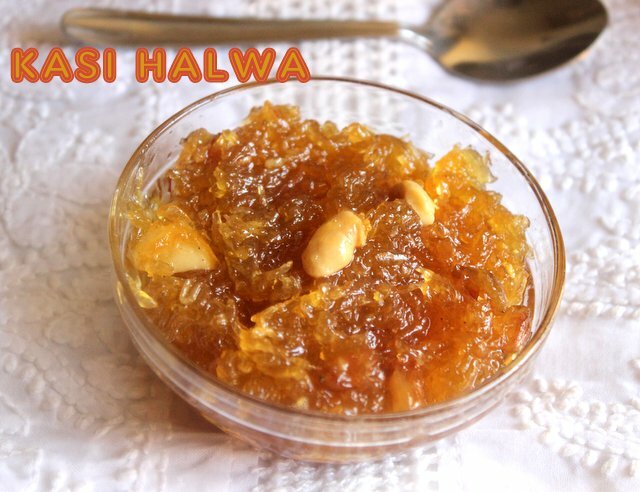 Serve the halwa warm or cold. 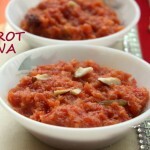 No need to squeeze the excess water from the grated pumpkin. This water helps to cook the pumpkin without adding water. 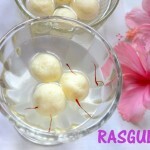 You can also add any food colour of your choice instead of saffron strands. 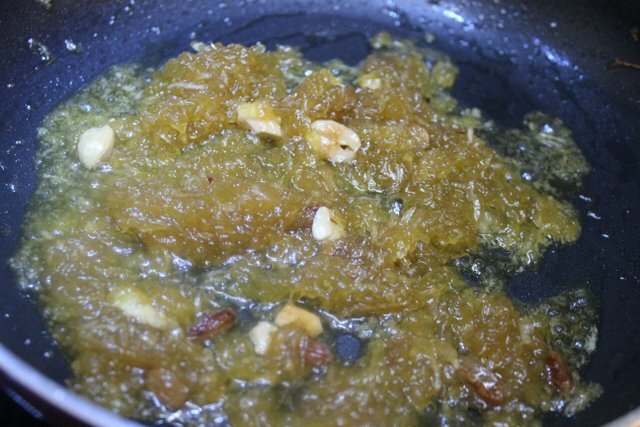 Cook the halwa on a low to medium flame. 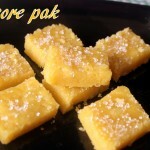 Ensure that the pumpkin is well cooked before adding sugar, because once the sugar is added, it will never get cooked.